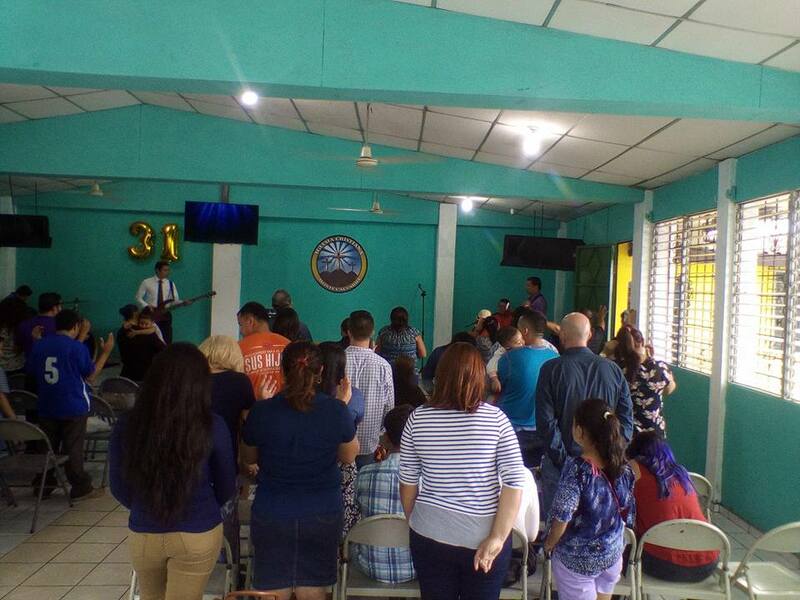 Our first full day here in El Salvador was on Sunday, and of course we got to go to church. I had some mixed emotions about the service. First of all, we were being split up as a group. The women had to prepare for the quinceanera celebration that morning so the guys headed to church on their own. Secondly, I had been asked to lead worship but we couldn’t seem to find a song that we all knew and the church was only able to put the words up on the screen in Spanish. So, we pulled up to this building that didn't really look like the churches that I'm used to seeing in Texas. We headed into the church and were greeted with lots of smiles as they quickly pulled out two more rows of chairs for our group. We doubled the size of the crowd in the room! There was an older man singing on the stage on his guitar. It was clear by his face that he was full of joy and he loved to worship! I noticed that each person that arrived after us was brought in by an usher who held their hand as if they were their own child, and placed them in a seat as if it had been saved just for them. All of a sudden a full band came and just started playing loudly, with passion! The songs sounded familiar but of course they were singing in Spanish and the words on the screen were in Spanish. I tried to sing along as best I could. I have always struggled with getting into worship if I don’t know the song, so I was definitely struggling in this moment! I spent most of my time during the first song observing the people in the church. I noticed that every single person was standing in worship, with joy exuding from their faces. I was overcome by their hearts for worship; their hands were in the air, eyes closed, and they were fully giving praise. At that moment I felt the strong presence of God. I told myself that if these people who came from challenging circumstances could praise God this way, then so could I. During the second song I began to praise God like I normally do in my home church. For the first time in my life I put my issue of pride in having to sing perfectly aside and just worshipped for the sole purpose of loving God for who he is. Here I was trying to sing in Spanish, knowing I was butchering their language, but I had no care in the world. It was overwhelming to know that we were worshipping the same God in different languages. There's only one true language in this world, and it's the love of God that is meant for every single one of us.